Inspired by the much loved, but sadly no longer available, Greenspot Nomad Jacket made by Bertram Dudley and Son of Yorkshire, the double-layered Greenspot® DV Jacket is designed for cold weather cycle touring along with a wide range of other uses. Front pockets are angled to give accessibility on the move and there are easily accessible rear pockets for map storage. An optional hood is available which fits over a cycle helmet and also makes the jacket more versatile for walking. Optional side tabs enable the waist to be adjusted. 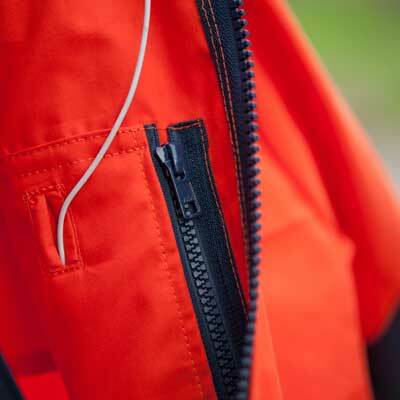 Also take a look at our other Greenspot® jackets: the Greenspot® SV Light or the Greenspot® DV Heritage. Hilltrek's Greenspot jacket joins forces with a Pashley to take on Scotland's NC500 (product shown is Greenpot SV). No hood model : No problem with this jacket in Normandy. No problem for all weather with or without bicycle. After every days in winter, no problem with the spring. Comfortable. Light ( and I don't know the SV ). Ventile seems strong. Very good product, so after the first, I ordered another DV for my sons. Definite winner (bought for my wife). Warm, comfortable, waterproof and daylight visible. Could be improved with some discrete light reflective highlighting to aid visibility at night. I am very pleased with my Greenspot DV jacket. Thank you to all at Hilltrek.